You will like working with us! The 8th European edition of NowWeMOVE’s signature event MOVE Week will happen on 27 May-2 June 2019 and MOVE Week in Latin America (Semana Muévela and Semana MOVE Brasil) is set to place on 23-30 September 2019. Follow the links to register as a MOVE Agent in your country. New ISCA website coming soon! Our mascot is working very hard on a brand new ISCA website and we look forward to revealing it to you later in 2019. 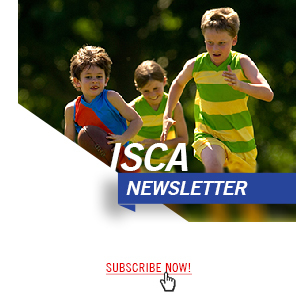 Meanwhile, we will still keep you updated here with the latest news from ISCA and our partners. In 2015, ISCA commissioned a study called the 'Economic Cost of Physical Inactivity in Europe', showing that half a million Europeans die every year as a result of being physically inactive. The most common causes of death are from those diseases linked to being physically inactive, such as coronary heart disease, type II diabetes and colorectal and breast cancer. One in four adults across Europe is currently physically inactive – as are four out of five adolescents. Training on-line tool for non-formal Education through Sport and physical activities with young people.